Acne and acne scars are not just a problem for teenagers. People of any age can develop acne, and many adults still live with the scars. Over-the-counter treatments are rarely enough. You need skilled care to clear your skin, so what are you waiting for? With the proper help, you can have healthy, smooth skin. There is no reason to live with the social and professional issues that acne and acne scars cause. At Natural Foundations, we use state-of-the-art devices to treat these skin conditions and help your skin look smooth and clear. The Eclipse MicroPen uses PRP to treat acne scars. This natural healing method is done by stimulating production of the skin’s own collagen and elastin. Both collagen and elastin are produced naturally in the skin and they help your skin glow with a more youthful appearance. Unlike other micropens, the MicroPen Eclipse uses automated oscillation to place small openings in a more uniform way to reduce trauma to the skin. Spectra Laser can be used to treat acne scars and rejuvenate facial features to provide a younger and less damaged appearance. This procedure is extremely gentle for most skin types and helps people avoid the downtime associated with other types of laser procedures. The Spectra Laser device attacks damaged skin caused by acne scars and helps to improve the quality by evening skin tone, reducing unbalanced pigment, and tightening pores to give skin the youthful look you’ve wanted. Venus Viva Radio Frequency Micro-needling can smooth acne scars and diminish their appearance. The Venus Viva only targets the skin that has been damaged, leaving the surrounding skin untouched and allowing faster recovery. Most patients need three to four Venus Viva Radio Frequency Micro-needling treatments every two weeks. 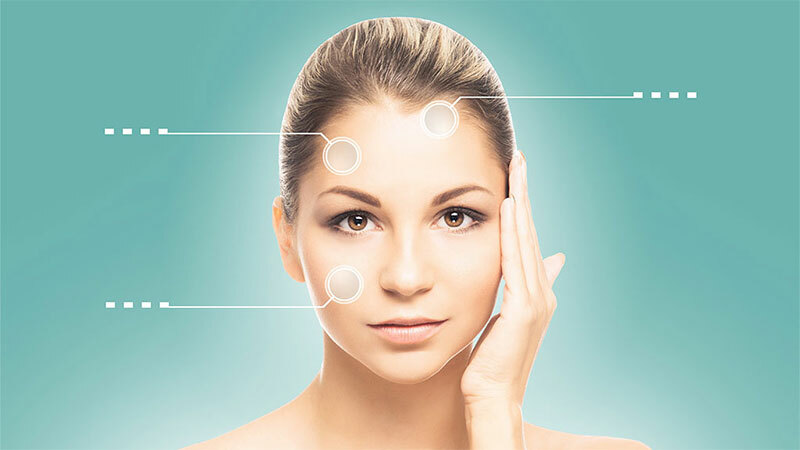 However, treatments can vary depending on the depth and extent of the acne scars. We apply a numbing cream to the skin 30 minutes before the Venus Viva Radio Frequency Micro-needling is passed over the skin. The treatment itself takes less than 30 minutes. Venus Viva Radio Frequency Micro-needling produces no downtime, but patients might experience some redness and discomfort that is similar to a mild sunburn. This does not usually last for more than a day or two. Patient’s skin will be susceptible to sunburn after treatment, so please use sunscreen when outdoors. We can recommend skin care products to increase the healing speed. If you are ready to get started with treatment for Acne Scarring, call Natural Foundations in Capitola at (831) 325-0202. Call now for a complimentary consultation.